Excellent value. Good level of standard equipment. 1.0-litre petrol engine is perky and responsive. Low running costs. 6-speed automatic best. Not as good to drive as a Swift. Hard plastics inside. Long throw 5-speed manual gearlever. Complaint of spurous messages from valve based TPMS of 2017 Suzuki Baleno SZ5. 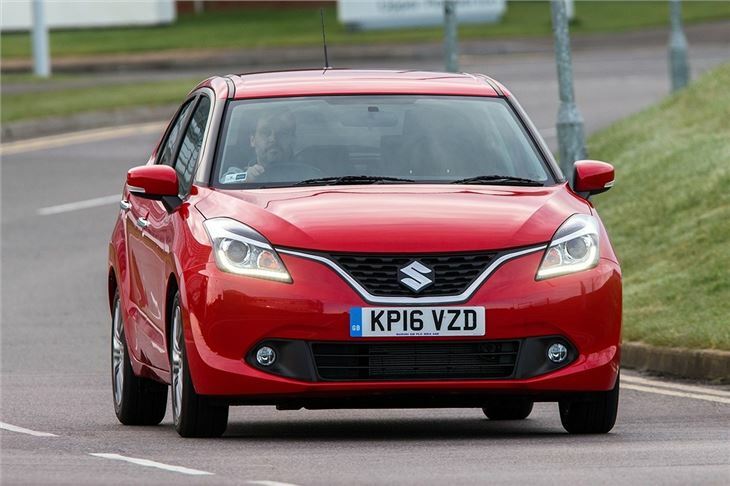 The Suzuki Baleno might not be the most exciting car on sale, nor is it particularly luxurious, but if you’re looking for good value above all else it’s a great choice. Affordable prices, a generous level of standard equipment, plenty of cabin space and low running costs make the Baleno a compelling choice for thrifty buyers. There are just two engine choices, both petrol. The standard engine is a 1.0-litre turbocharged three-cylinder producing 111PS and it’s very flexible and easy to drive, thanks to a reasonable peak torque output of 170Nm from 2000rpm. Official economy is 62.7mpg, while emissions are 105g/km. This engine is also available with an impressive automatic transmission. The second choice is a 1.2-litre petrol with a very simple hybrid system, designed to assist when pulling away. With 90PS and 120Nm of torque it lacks the eagerness of the 1.0-litre, but it has emissions of 94g/km, so qualifies for free annual VED (at pre-2017 rates) and is officially capable of 70.6mpg. 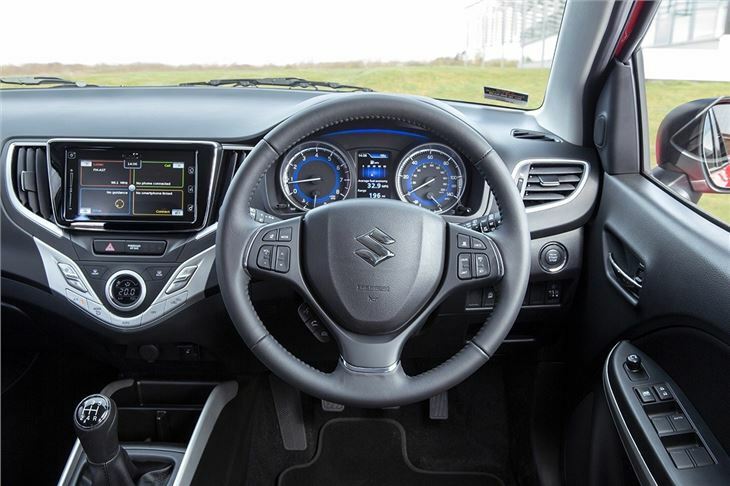 Inside, the Baleno isn’t exactly plush or luxurious, but the controls are simple to operate and there’s plenty of space, both in the front and back row. 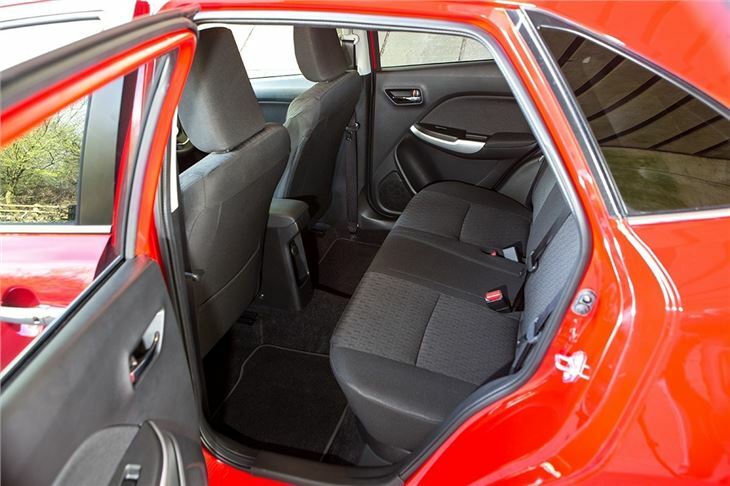 Even taller occupants will be comfortable in the back seats, which are easy to access and offer ample head and legroom. 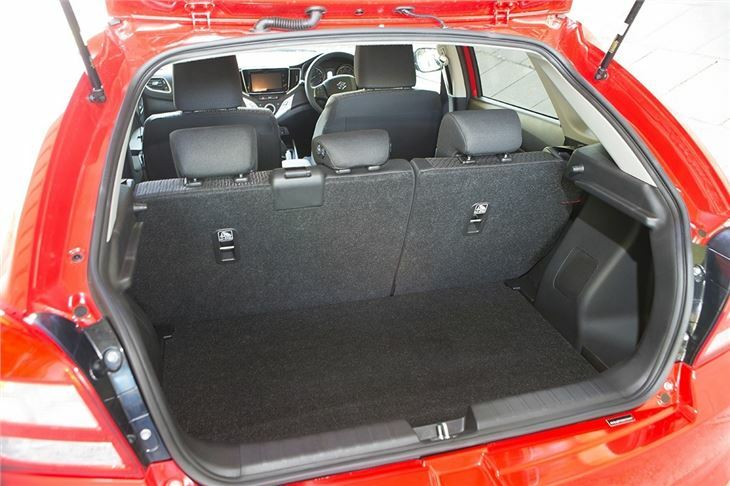 The boot is a good size at 320 litres, expandable to 1085 litres by folding the rear seats. All models come with a touchscreen system, satellite navigation, air conditioning, auto lights, Bluetooth, USB connectivity and 16-inch alloy wheels – so buyers won’t be left wanting for much. There is a higher trim level too, which has autonomous emergency braking, adaptive cruise control and climate control among the extra gear. 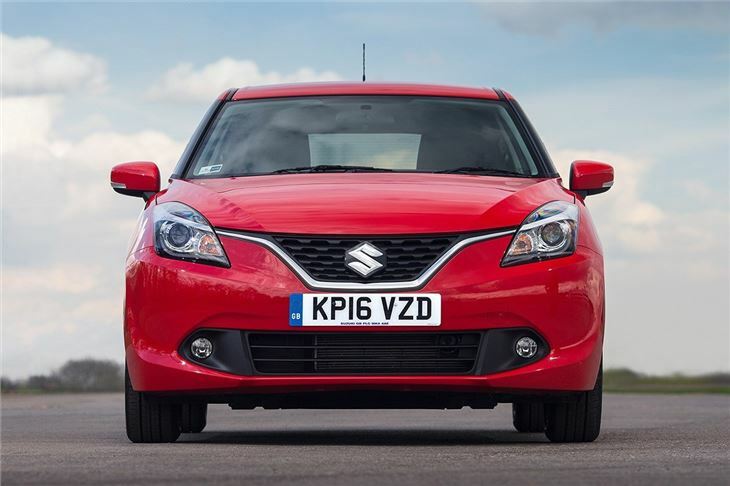 Because of the generous level of standard equipment, the Suzuki Baleno is predicted to have strong used values. 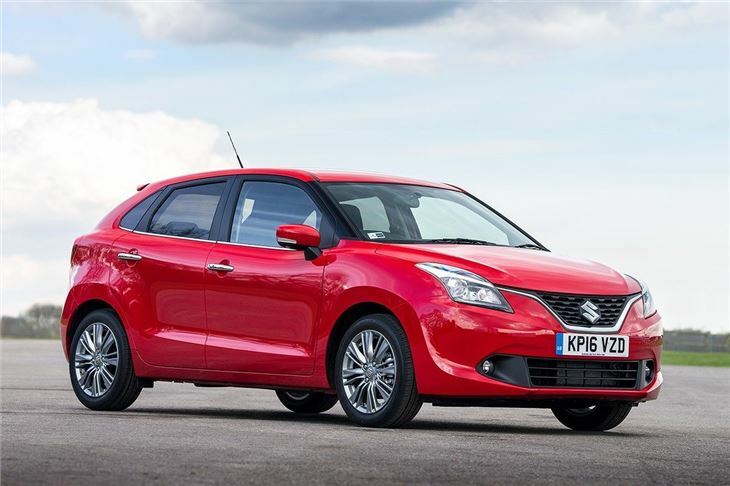 The benefit of this to new buyers is affordable finance – from launch the Baleno is available on PCP with 5.9% APR for £199 per month over 49 months with no deposit, thanks to a £1000 deposit contribution from Suzuki. The nearest rival for the Baleno in terms of size, space and price is the Skoda Rapid Spaceback, but it doesn’t have the same amount of standard equipment and it costs more – though it is available with diesel power. 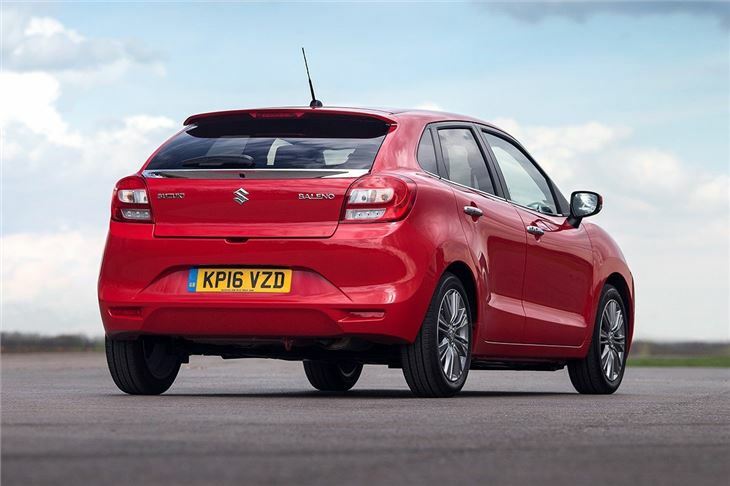 However, if you want a petrol-powered family-friendly hatchback the Suzuki Baleno makes a lot of sense for budget-conscious buyers. It 'Does what it says on the tin'.